The internet provides users with a fast and convenient way to look up information and to make purchases. However, there is an unbelievable amount of competition out there and you have to be able to reach the consumers. Almost everyone uses a search engine to type in keywords or phrases to find what they are looking for. However, You may have found that there are pages and pages of hits. The majority of online users won’t venture beyond the first or second page of hits in order to find what they are looking for. Instead they will do a new search with modified keywords. 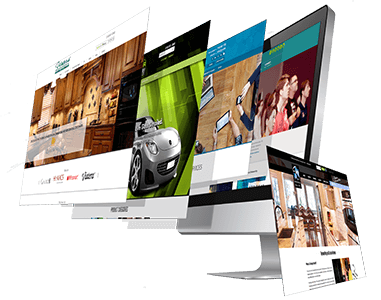 Therefore it is essential that you continually work to get your website recognized among the top listings on the major search engines. The only way you can do so is through the process of search engine optimization, commonly referred to as SEO. This can be a very tricky area for many business owners and almost completely overwhelming if you don’t take your time to follow the entire process. All of the elements of it have to be in place for search engine optimization efforts to be successful. You have to carefully balance providing what the robots for the search engines want while maintaining information that your consumers will find interesting as well as understandable. There is a great deal of research that has to be done in order for SEO to be effective. You need to find out what the most common keywords and phrases are for your product or service so that you can add them to the materials on your website. It is important to understand that your search engine optimization efforts will never be completed. They will always be a work in progress due to the constant shifts in the consumer market. By adding fresh materials to your web pages the robots for them will continue to categorize your information. The various search engines make money off the advertising that is on their pages so they have to be able to offer the newest and most relevant information for consumers. Otherwise they risk losing the consumers to other search engine sites. Therefore they are careful not to index duplicate information. This way you won’t type in a keyword and get 20 hits all with the same or too similar of information to meet your needs. Almost half of the new online businesses fail because they aren’t engaging in such practices and therefore they can’t reach their target market. Before you launch your website or start advertising your products you need to have effective SEO strategies in place. There are several to choose from so look for those that will work well for your type of business as well as the budget you have available. If you aren’t comfortable with doing SEO for your business you need to find someone reliable to do it for you. There are plenty of freelancers and professional businesses out there that specialize in SEO. Don’t fool yourself into thinking you can have a successful online business without making SEO a priority.